We are a Commodity Trading Advisor “CTA” focused on tropical soft commodity markets, especially coffee contracts traded on registered derivative exchanges; we are based in Medellin, Colombia. Our goal is to provide investors with exposure to the coffee markets through a specialist and uncorrelated commodity niche investment product, which can diversify any investment portfolio. Cafe Trading Advisors is a registered "DBA" of Seguridad Financiera SAS. We are registered with Commodity Futures Trading Commission and a Member of the National Futures Association. Our NFA ID: 0460440. We perform discretionary trading strategies on futures and options, seeking to obtain consistent and uncorrelated returns with measured volatility in our client accounts. Our trading principal, Andres Agredo has 13 years of experience trading financial markets and developing trading strategies focused to maximize profits and control risks. Our company aims to provide managed futures industry with innovative and alternative investment products designed for institutional investors and high net worth individuals. Cafe Trading Advisors / Seguridad Financiera SAS was co-founded by Andres Felipe Agredo Montaño in February, 2012. Andres is registered with Commodity Futures Trading Commission (CFTC) as an Associated Person (AP) and NFA Associate Member. As a listed Principal, Andres is responsible for trading department, supervision and compliance with NFA Rules and other laws and regulations pertinent to all business conducted. Andres is an experienced trader and investor in soft commodities and currencies, and has over 13 years of commodity, derivatives and financial markets trading experience. 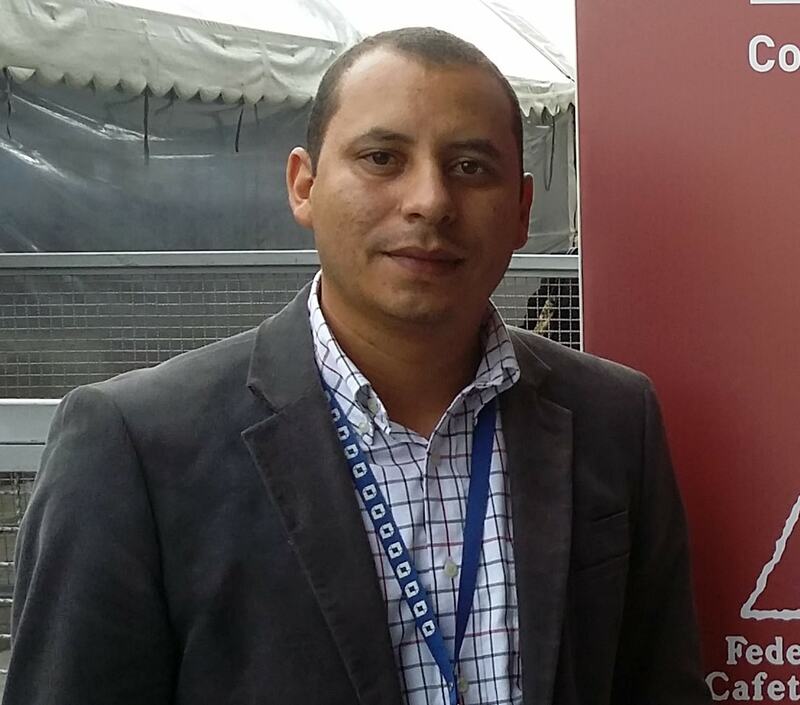 Andres has extensive experience advising local institutional coffee growers to hedge their production. Andres maintains a SERIES 3 License (National Commodities Futures Examination). Andres makes several trips to Colombian coffee belt and maintains deep commercial relationships with physical coffee market participants. 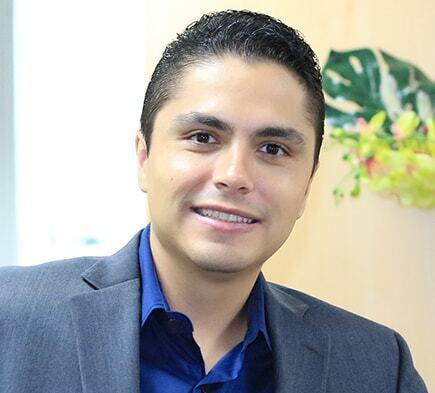 Andres has participated in local television programs as a market analyst and has leaded several online trading seminars. Cesar performs fundamental research and crop analysis. Cesar is an Agronomic Engineer and Licensed Q-Grader with 30 years of experience working in the physical coffee industry, as well as advising coffee growers and associations. Cesar worked for the "Colombian Coffee Growers Federation" and actually leads the Quality Department of "Laderas del Tapias, Estate Coffee", one of the most recognized institutions among the Specialty Coffee industry, located in Caldas, Colombia, in the heart of the Colombian Coffee belt. Our trading program is a specialist discretionary managed futures strategy focused on tropical soft commodity markets with emphasis on New York coffee, known as Arabica Coffee, as well as London coffee, known as Robusta Coffee. The strategy trades both sides of futures and options markets, and utilizes option spreads as well as outright futures, to profit from directional short to medium term price movements and changes on the implied volatility of the underlying. Fundamental Analysis: Provides an insight about key developments that may influence current and future demand and supply of derivative instruments. Quantitative Analysis: Futures and options price development provides an insight about the actual strength of buyers and sellers of derivative instruments. Our Methodology: Preserves the integrity of both approaches, making them work in synergy on the discretionary framework. Fundamental: A constant communication with significant cash coffee market players, monitoring of seasonal trends, currency relationships, weather in major producing countries, certified stocks, crop forecasts, among others, with the goal of validating and finding the reasons behind the results of quantitative analysis. Quantitative: A forward-looking methodology based on mathematical fixed formulas fed by futures and options data, with the goal of setting levels where changes on the dominant market direction may take place, as well as forecasting the length in price and time of the next potential move, in order to pick entry and exit points. The program runs an options risk model and what-if analysis to examine every possible outcome for each scenario and value at risk. We open each position with a calculated and pre-determined account's percentage limit loss and an attractive profit-to-loss ratio. We frequently structure option spreads to limit the maximum risk involved in every trade, thereby we rarely use stop loss orders. You will have the potential to diversify and reduce the risk of your overall portfolio through including managed futures, which have the potential of profit when stocks and bonds could be falling. You will have the opportunity to enhance overall portfolio returns thanks to the potential to profit from both rising and falling markets. You will be able to withdraw and deposit funds on your account, at any time, without penalties. Our main compensation depends on our performance returns. We only charge the performance fee when new profits are generated on your account. You will have access and monitor your account 24/7. Your funds are custodied by your Futures Commission Merchant (FCM). You will be able to revoke the authorization given to us at any time. Futures trading involves risks of loss and is not suitable for everyone. The use of managed futures in a portfolio does not mean that an investor will be profitable or will not experience any losses or volatility. Futures trading involves risk of loss and is not suitable for everyone. There can be no assurance that an account or fund will earn any profits at all or will be able to avoid incurring substantial losses, including the entire loss of the investment. Investors should understand the risks involved in taking leveraged positions and must assume responsibility for the risks associated with such investments and for their results. You should carefully consider whether such trading is suitable for you in light of your circumstances and financial resources, and only risk capital should be invested. In some cases, managed commodity accounts are subject to substantial charges for management and advisory fees. It may be necessary for those accounts that are subject to these charges to make substantial trading profits to avoid depletion or exhaustion of their assets. The Disclosure Document contains a complete description of the principal risk factors and each fee to be charged to your account by the Commodity Trading Advisor ("CTA"). We can provide these document to you upon request with no cost. This website does not describe all the various risks associated with futures trading. Pursuant to an exemption from the Commodities Futures Trading Commission in connection with accounts of Qualified Eligible Persons, this document is not required to be, and has not been, filed with the Commission. The Commodities Futures Trading Commission does not pass upon the merits of participating in a trading program or upon the adequacy or accuracy of Commodity Trading Advisor disclosure. Consequently, the Commodities Futures Trading Commission has not reviewed or approved this trading program or any of the information on this website. Nothing contained in this website constitutes investment, legal or tax advice. This website is for informational purposes only and is not an offer to sell; a salutation of an offer to buy or a recommendation to buy any security or any other financial asset. We are prohibited by law from accepting funds in our name from a client for trading commodity interests. You must place all funds for trading in this trading program directly with a Futures Commission Merchant (FCM). A reliable commodities futures broker is an essential part of our program. Our clients are free to choose the Futures Commission Merchant (FCM) with whom their account will be maintained. We reserve our right to disapprove the clearing firm selected by the client, due to factors included but not limited to: (1) excessive commission costs, (2) poor credit standing, (3) poor service and/or reputation.